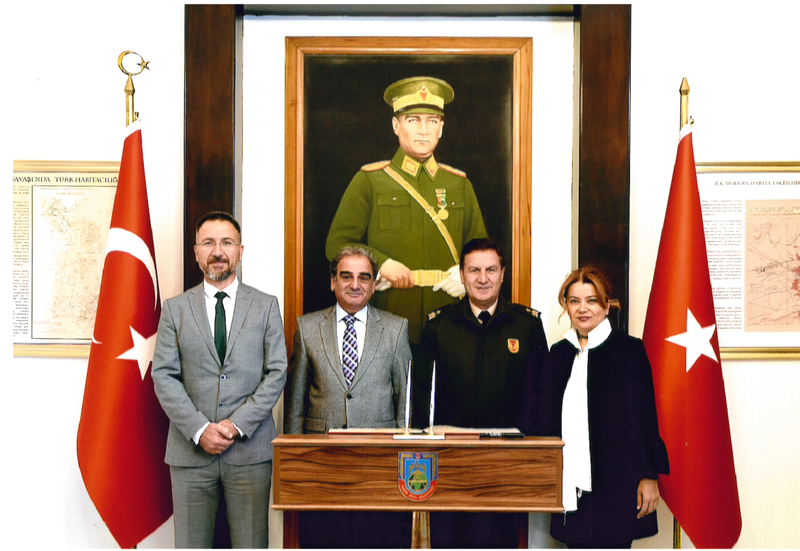 We’ve visited General Mapping Command Brigadier General Osman ALP. 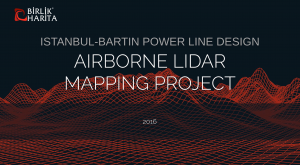 We’ve completed Bartın-Istanbul Power Line Design, Airborne Lidar Mapping Project. Being passing of the project corridor over the frequently wood and forest areas has been influential in the selection of the Airborne lidar method. The project route is 330 km long. 56 ground control points have been established. Flight planning was performed as project corridor width of 400 meters and scanning density of 5 points per square meter. 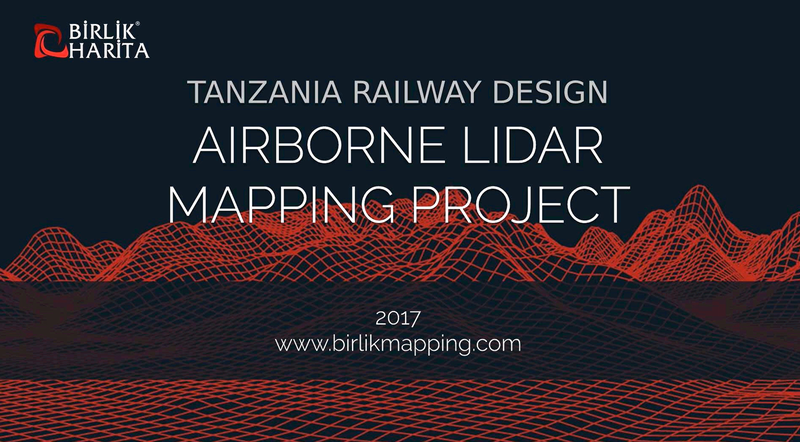 Route maps of railway lines to be constructed between Darussalam and Makutupora cities in Tanzania were produced by BIRLIK MAPPING with the Airborne Lidar Measurement Method. The first part of the project starts from Dar Es Salaam and continues to Morogoro and the total length is 205 km. The second part starting from Morogoro and ending in Makutupora has a length of 344 km. The total length of the project is 549 km. In the first part of the project; with Ground Sample Distance of 5 cm and 5 points per square meter laser point density, In the second part of the project; with Ground Sample Distance of 15 cm and 5 points per square meter laser point density, Lidar flights have been performed. The Map Production of the first section was completed within 60 days period, the second section was completed within 90 days period. In the end of the Project, the targeted location accuracy was successfully achieved and the projects were delivered to the customer on time. 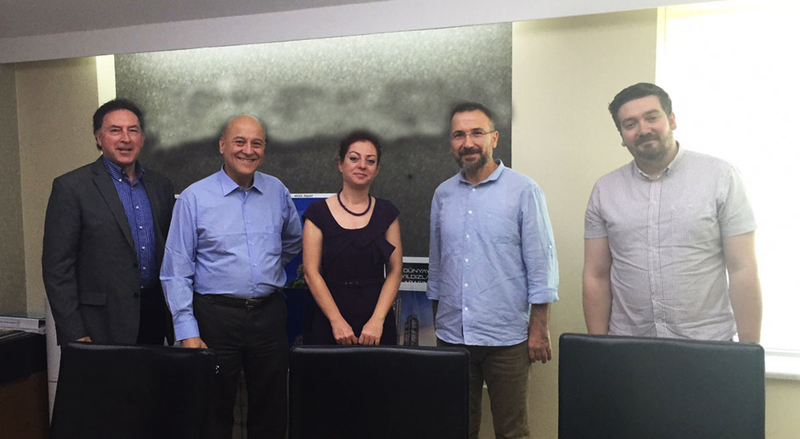 Which is technology company based on Canada Imstrat Corporation and its Turkish representative ADIS (Aviation and Defense Technologies) came together to talk about the new technology High Speed Aerial Cameras. Greg O ‘Brien, International Business Development Manager from Imstrat Corporation; Mr. Tomislav, Director of Technology Department; Mrs. Nevin Galip , Manager from ADIS; Mr. Sayın Altınışık, General Director from Birlik Map Company, and Mr. Unsal Gündoğan , General Coordinator from Birlik Map Company were accompanied. In a meeting, that took place in an extremely friendly atmosphere, the projects and investments planned to be realized in the near future have been mutually negotiated. Birlik Harita Çevre ve Şehircilik Bakanlığı Coğrafi Bilgi Sistemleri Daire Başkanlığınca açılan Muğla, Malatya ve Elazığ daki korunan alanlar için True Ortofoto Üretimi İşi ihalesini kazandı. Muğla ilinde 20cm GSD lik 3,292 pafta ile 10cm GSD lik 400 pafta; Elazığ Hazar Gölü civarında 10cm GSDlik 548 pafta ve Malatya Karakaya Barajı çevresinde 10cm GSDlik 1717 pafta için True-Ortofoto üretimi ve Muğla sınırındaki 10m GSD lik bölgeler için 1/1000 ölçekli halihazır harita üretimi gerçekleştirilecektir. Toplamda yaklaşık 190,000 ha (1,900 km2) lık alanda tahmini olarak 3,600km uçuş gerçekleştirilerek 18,000 adet fotoğraf çekilecektir. 196MPix özellikli UltraCam Xp kamera ile 80/60 bindirmeli uçuş gerçekleştirilecektir. Şirket merkezimizi ziyaret eden Rafik ve beraberindeki heyet Birlik Harita yetkilileri ile bir araya geldi. Yapılan toplantıda Kerkük’ün Kent sorunları çözüm yolları değerlendirildi. Datca have blazed a trail. 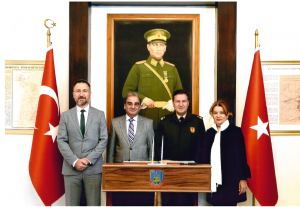 Unmanned Air Vehicles (UAV) manufactured for military use in the world war used to prepare maps which will set light to the master plan application on Datca’s 7 villages located on 2,040 hectares of land. Ministry Environment and Urban Planning Natural Assets Protection General Manager’s financial assistance and the tender of the association of Datca District Governorship Delivering Service, the result of 3 months-work Yaka, Yazı, Cumalı, Mesudiye, Karakoy, Hızırsah ve Sındı Villages are mapped by using UAV . 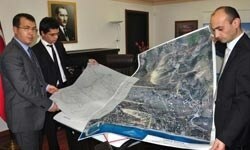 The maps that are delivered to Datca Governor Hamdi Uncu by Birlik Harita Company from Ankara. Governor Hamdi Uncu stated that the works of mapping for 7 villages were completed. ‘It costs 314 thousand TL. There is no barrier at any more to prepare the construction plans. We will share our results of the works with District Municipality and Metropolitan Municipality that will be established in soon’, he said. Seyfettin Ozyurt Birlik Harita Project Coordinator draws the attention to the maps are first performed with photogrammetric system by UAV . 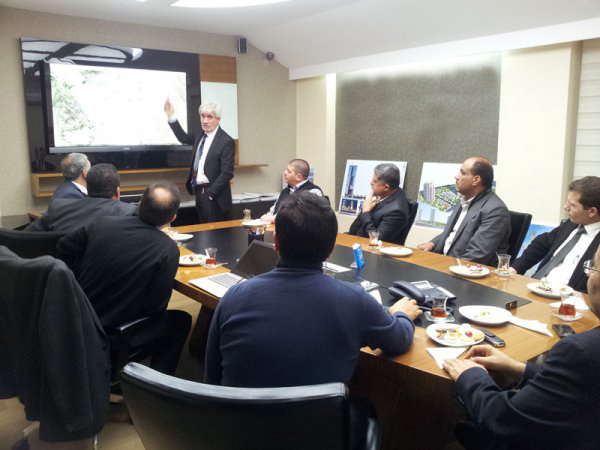 ‘The maps are produced by photogrammetic systems by large planes in Turkey. 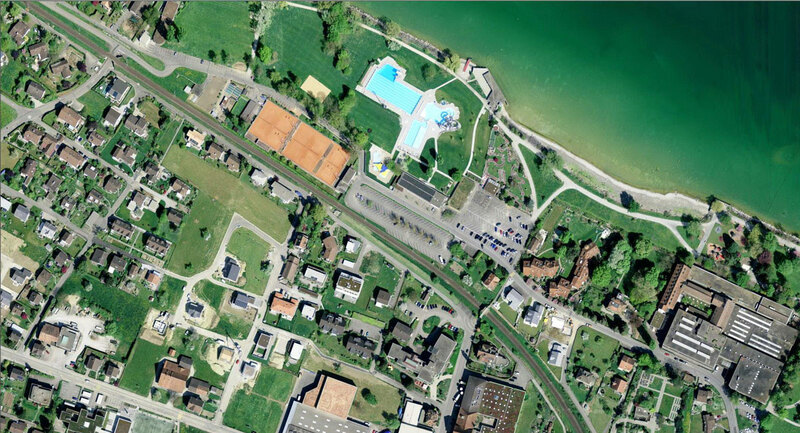 However, cheaper and more practical than the high-resolution maps, using unmanned aerial vehicles we can do now’, he said. He stated that the works have been completed in 3 months. ‘ The maps have been completed with photos obtained at the result of a weekly flight and Birlik Harita Company’s UAV has been used for this project. 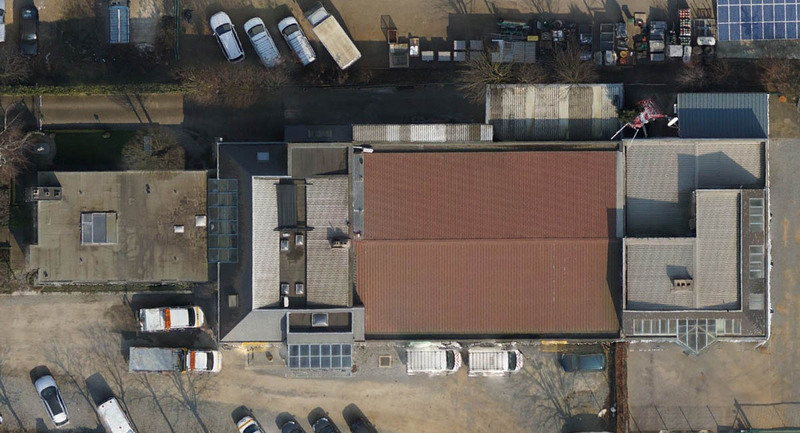 The works have been completed in three months, the maps have been completed with photos obtained at the result of a weekly flight and Birlik Harita Company’s UAV has been used for this project. 7 villages were mapped on behalf of Datca Governorship. These maps will be used for different purposes such as identification of construction plans, road, woodlands and plant species and unlicensed construction. Lazer tarama arşivimize Denizli’de bulunan Arasta, Unpazarı ve Hatipoğlu camilerini de ekledik. Restorasyon amaçlı yapılan işi kısa sürede tamamladık. 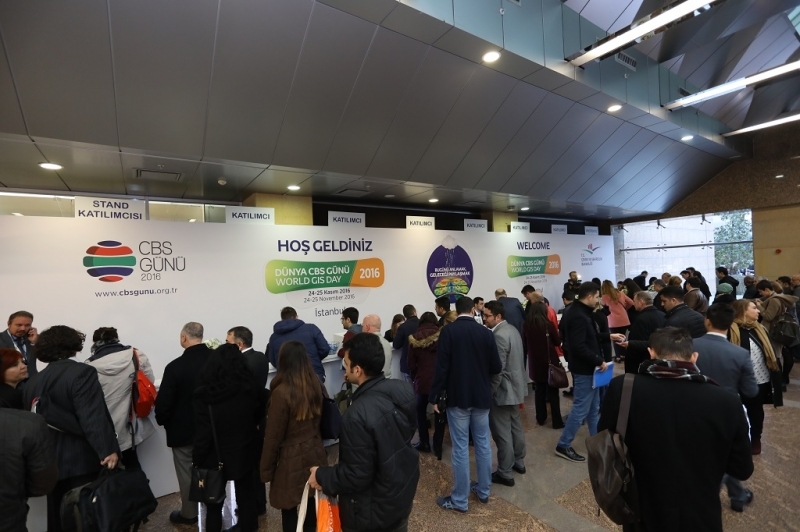 Yüksek teknoloji kullanarak çağı yakalamış olmanın yanı sıra kültür mirasımızın korumasına katkıda bulunmanın kıvancını yaşıyoruz. Birlik Harita successfully provides services to municipalities, state organizations and private associations in its fields of expertise. Birlik Harita owes its reliability to getting acquainted with the lands on which it exists and its references.